Dive in with TYR as we continue to fight the battle against breast cancer. 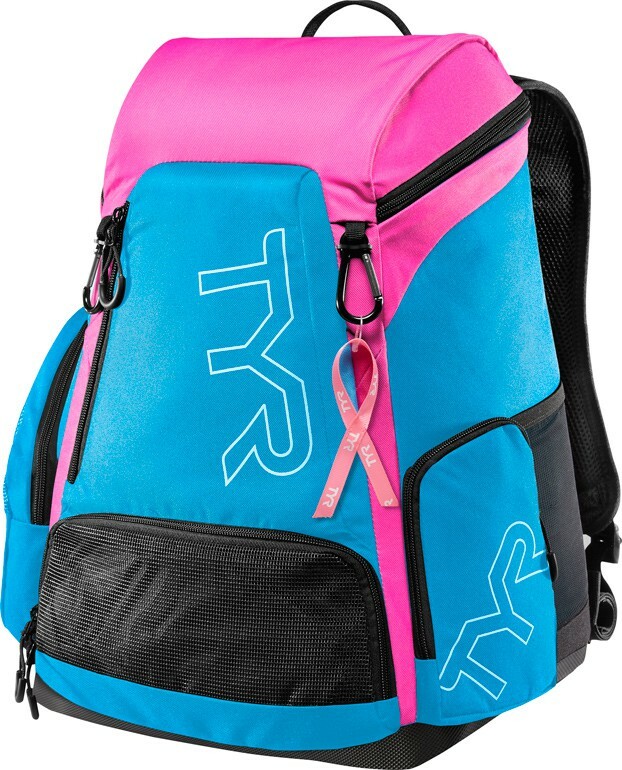 Every time you buy a TYR Pink® product-- including the TYR Pink® Alliance® 30L Backpack-- we donate up to $5.00 to the Breast Cancer Research Foundation. A new twist on an old classic, the LATBP30B is packed with state-of-the-art features engineered for athletes on the go. With a cutting-edge space saving design, the 30L maximizes storage without the bulk. In addition to contour shaped padding for ideal ergonomics and lumbar comfort, the new design also includes multiple front and side pockets, expandable mesh pockets for separating wet and dry items, spring hooks for wetsuits, adjustable straps and a protective storage space for large electronics. The TYR Alliance® 30L Backpack is designed with fabric technology to ensure a lightweight feel, and durable, water resistant construction. Incredible backpack! Lots of room and storage compartments for any workout. I have a first year team swimmer at 6 years old. She wants to be like the "big girls" that have earned their team bags, so this was absolute perfection!! Lots of storage, good size, and the colors are so bright! I wish I had bought it sooner. Fits everything I need and easy to carry. No awkward duffel bag anymore!!! Has so many pockets and plenty of room to put swimming gear.....love it a lot!!! Excellent bag, fits all my gear and I can also hook my helmet on it, and the best thing is.. it matches my bike! Comfortable to wear and holds everything! If it doesn't fit in there... you don't need it! Q: Does it have a removable bag for wet clothes? Is there a separate compartment inside/outside for wet clothes? A: Thank you for contacting TYR Sport! We are always eager to answer any questions you have about our products. 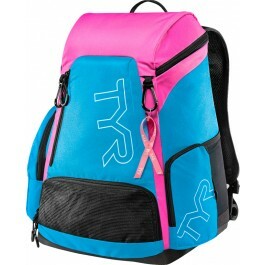 The TYR Pink Alliance 30L Backpack has expandable mesh pockets for separating wet items. Our fabric technology is durable with water resistant construction. This Backpack does not have a removable bag that is included. Q: Does the pink alliance 30L have a water bottle holder? A: Yes, Provides a Mesh water bottle pocket. 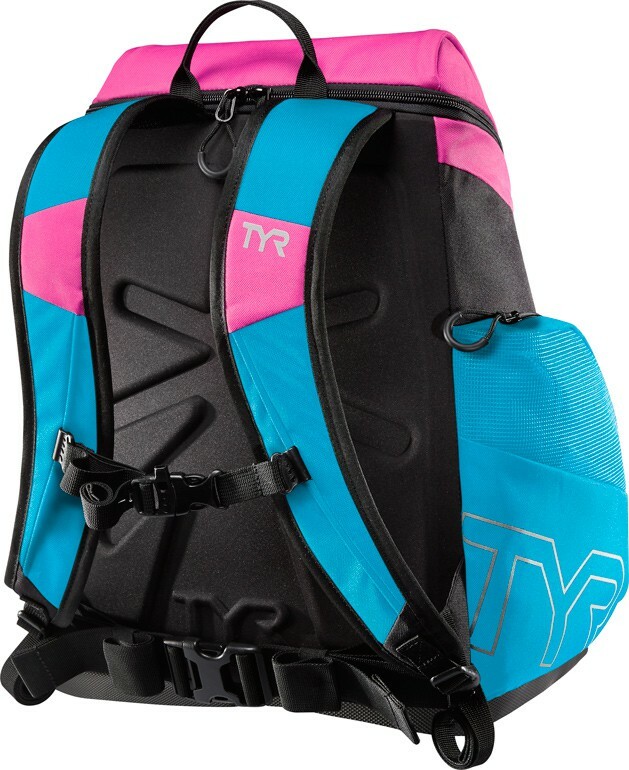 The TYR Pink Alliance 30L Backpack is designed with fabric technology to ensure a lightweight feel and durable, water resistant construction. With a cutting-edge space saving design, the 30L maximizes storage without the bulk.